The city of Split, as a combination of ancient history and beauty of the Adriatic Sea is one of the most desirable destinations in the Mediterranean. Split has emerged from Diocletian's Palace – built more than 1700 years ago – which makes it important for Croatian history in general. You will find numerous facilities and beautiful beaches for entertainment in the city. Book accommodation in Split and take a tour of the city, but also do these daily trips to the nearby attractive locations. Trogir is a small town, located about 30 minutes by car from Split – once known as Tragurij – rich in well-preserved historic buildings from the Middle Ages, and from ancient times. 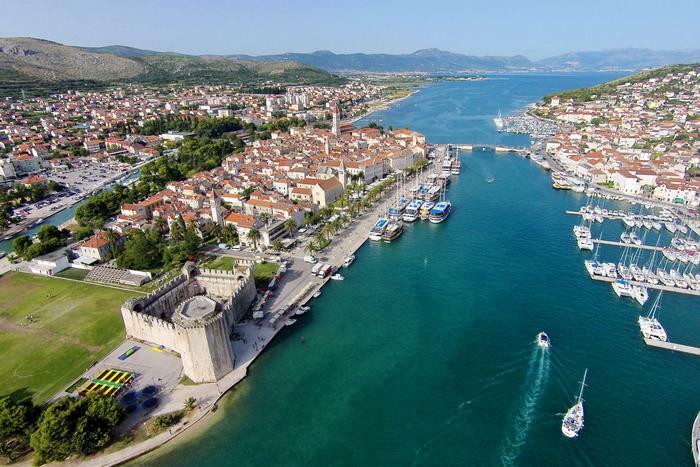 Each visitor will remember Trogir as a small town surrounded by ancient walls that were guarded for centuries, as the history says. Nearby beaches of the island of Čiovo that's connected by a bridge with Trogir are perfect for escape from the city noise. Want to spend the night in this magical city? See our offer of accommodation in Trogir and book today. 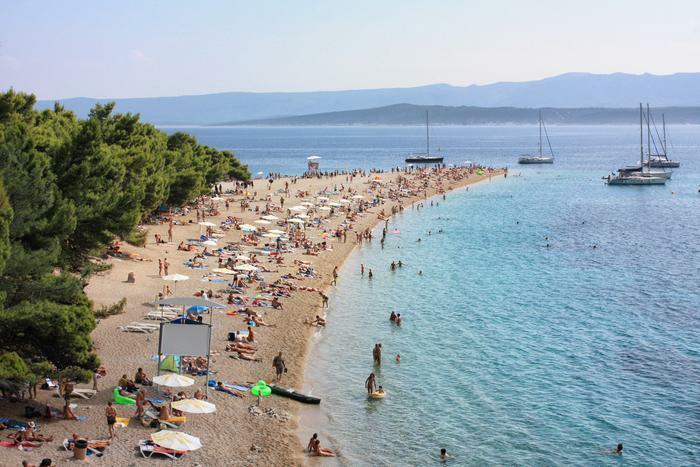 Zlatni rat is considered to be one of the most popular beaches in Croatia. 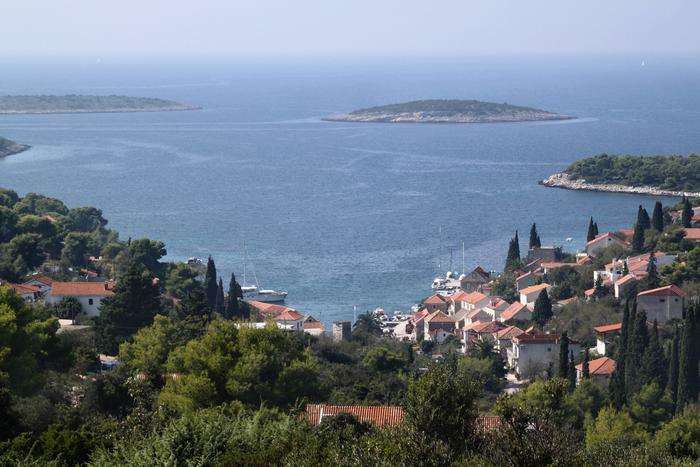 It is located on the island of Brač, in a place called Bol. Its uniqueness is reflected in its form of a tongue that imperceptibly changes its shape at times, depending on the wind that blows its sand. Book accommodation on island of Brač. 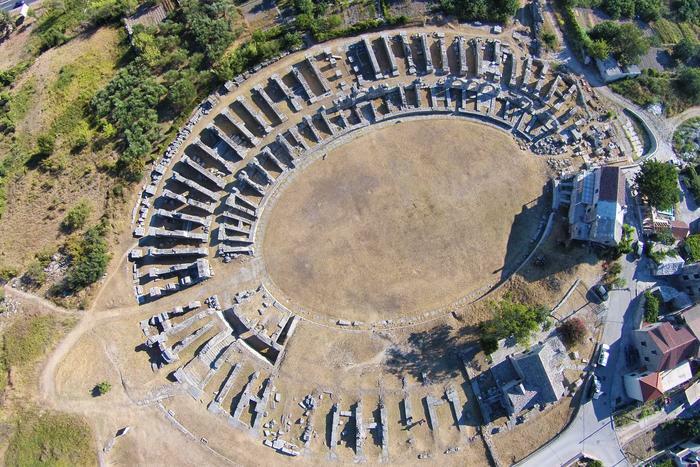 For all of you lovers of history and ancient monuments, we strongly recommend a visit to the ruins of the ancient city of Salona, which can be found in today's Solin. Salon is located only 6 km from Split. The ruins are decorated with fresh lawns and really are a beautiful sight. 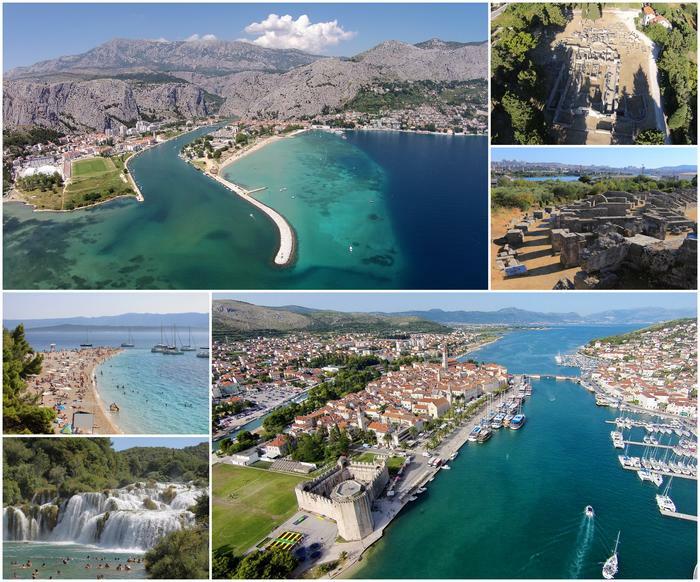 Take a car or public transport from Split down the coast to the south and you will reach Omiš. Town Omiš is only 30 km away from Split, located at the mouth of the Cetina River, which is a perfect refreshment for all those who love adrenaline sports such as rafting. Its beauty will complete your visit to Dalmatia. Two famous fortresses that historically protected Omiš from invasions – Mirabela and Fortica – today stand as a remarkable attraction for tourists. 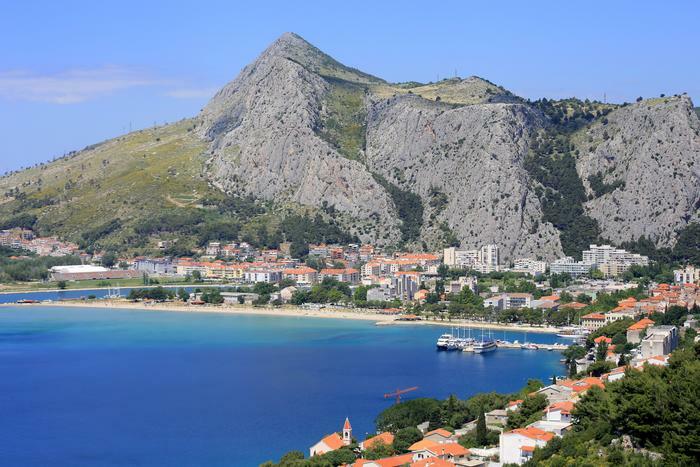 Choose accommodation in Omiš from our rich offer of apartments. One of the largest national parks in Croatia is only an hour's drive north of Split. It is blessed with rich vegetation and the Krka river after which it got its name. 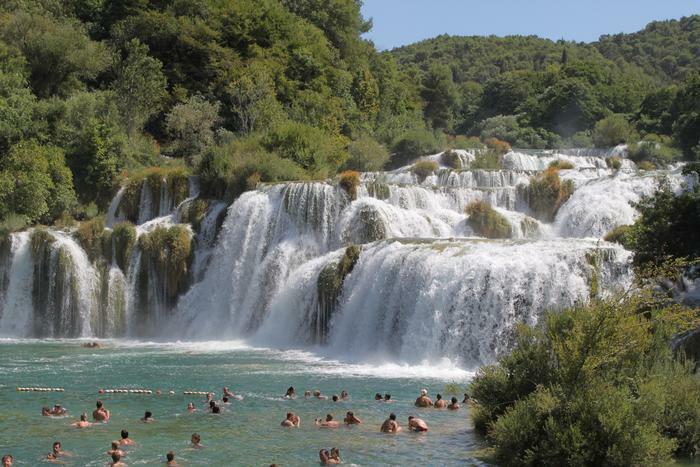 Krka creates lakes and waterfalls that are very admirable. One of the most popular waterfalls is called Roški slap. The fact that it is allowed to swim on its territory inspires more and more visitors to come to Krka waterfalls year after year. Apart from Roški slap, Skradin and Miljacka are also very popular. Despite being located only 20 km from Split and the possibility to reach it in less than an hour by ferry, the island of Šolta is a world of its own. Slightly less popular than Brač and Hvar, Šolta is a small paradise for lovers of forested islands with beautiful beaches. A day trip to the island of Šolta is a real treat for all of you who are staying in Split, and want extra excitement. Book an apartment on the island of Šolta from our offer of accommodation. Take a one-hour drive by car or public transport, and come to Šibenik – a small Dalmatian town rich in exciting history. Take a walk down the city center and visit the Church of St. James built in the 15th century, classified in the UNESCO list of world cultural heritage. 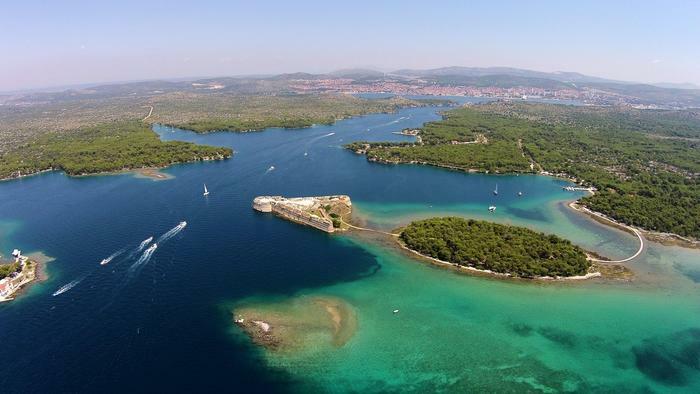 Swim in the blue Adriatic sea on one of the beaches of Šibenik.